Egypt’s Minster of Foreign Affairs Sameh Shoukry stated in an interview with the Oman News Agency on Wednesday that Egypt has no pre-conditions for returning Syria’s membership in the Arab league. Shoukry added that Egypt has established strong relations with the Syrian government. 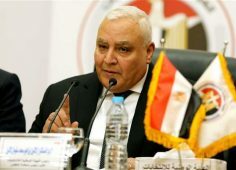 Egypt has worked on containing the Syrian crisis and preventing terrorist organizations from destroying it, Shoukry said, stressing that Egypt has always called for Syria’s stability and unity. He stressed that bilateral Egyptian-Omani relations were brotherly and historical, adding that Egypt has always appreciated the Omani stance towards Arab issues. According to UK newspaper The Guardian, Syria was suspended from the Arab League in 2011 over its failure to end the bloodshed caused by brutal government crackdowns on pro-democracy protests, coming as move to increase international pressure on President Bashar al-Assad. At an emergency session of its 22 member states in Cairo to discuss the crisis, the league decided to exclude Syria until it implemented the terms of an earlier agreed peace deal. The league agreed to impose economic and political sanctions on Syria over its failure and appealed to its member states to withdraw ambassadors from Damascus, Qatari prime minister Sheikh Hamad bin Jassem bin Jabr bin Muhammad al-Thani said.